Some of the most relaxing games are in the fantasy category. With these, it is easy to become lost in a world completely different. Adventures, exploration, and battles are all unwinding elements. Fantasy games are unique because they feature things not seen in the real world, such as dragons, magic, and mythical beings. In this genre, creators are allowed to design impossible beings, imaginary worlds, and fanciful story lines. Because there is so much freedom, storylines are often more captivating and immersive. This is a magnificent quest where players must try to escape the Underground. You play as a child who has fallen off a mountain and must try to find his way out of the underworld. In the attempt to return to the surface, you must choose how you will interact with the monsters you encounter. Will you fight, or will you try to talk your way out? If you do defeat a monster, will you kill it or spare it? Each decision affects the gameplay, and thus every action must be chosen wisely. Like many other RPGs, there are several different results that can occur at the end of the journey, which makes thoughtful decisions all the more important. Will you ever escape the strange Underground? Geralt of Rivia, a monster hunter on his way through the Northern Kingdoms, is the protagonist in this third-person action role-playing game. You must help him on his journey as he tries to find an emperor’s daughter, Ciri. Ghostly riders called the Wild Hunt seek to capture her. On the way, Geralt encounters a sorceress, clues, curses, and spirits. Witcher 3: Wild Hunt is an immersive experience where you can experience several different lands, climates, and people. Geralt is able to use both weapons and magic in combat, adding an interesting complexity to battle. A highly rated action RPG, Wild Hunt combines a compelling storyline with entertaining gameplay. It is a tumultuous time in Eorzea. The empire is much destroyed after an apocalypse. Because of this, the gods allow players to timetravel five years into the future. However, there is the threat of invasion from the Garlean Empire as Eorzea attempts to heal. Players must bring an end to the Dragonsong war in Ishgard. 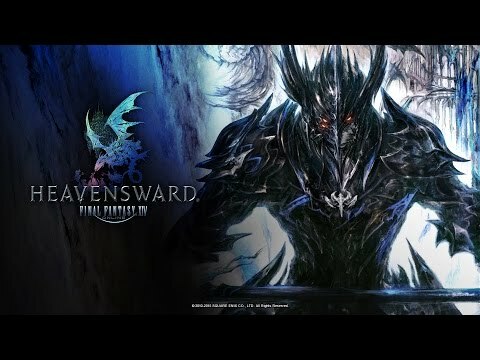 This MMORPG's expansion pack, Heavensward, adds two new Jobs (characters with specialized abilities), and a new playable race: the Au Ra. The game is well known for having top-of-the-line visual graphics and a well-crafted plot. It combines world exploration with quests for a well mixed fantasy game. This futuristic role playing game features Hong Kong in 2056. Magic has been uncovered, and megacorps run the world. Playing as the protagonist, you must discover why your friend has sent you a mysterious message. However, in your attempt to find answers, you run into trouble with the city’s police, and are marked as a terrorist. As a now-criminal, you shadowrun, which means doing illegal work for unsavory characters. As you discover Hong Kong, you will realize what a beautiful, yet highly dangerous city it is. Two factions war against each other—the Commonwealth and the Elven Court. This game features fantastical races such as the fey, frostlings, high elves, draconians, and merfolk. You are a leader whose goal is to start your own empire. This turn-based strategy game allows players to choose to fight for either the Commonwealth or the Elven Court. Eternal Lords is the second expansion pack, and features a new class (Necromancer), and two races (Tigran and Frostling). 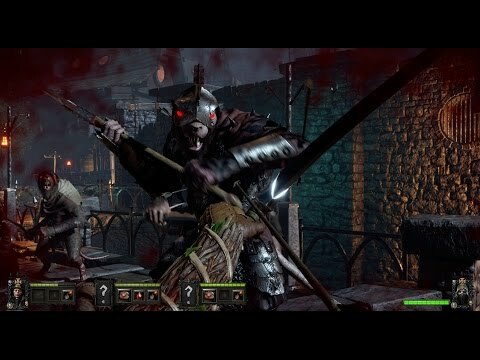 Fight the massive rat-like Skaven as you protect Ubersreik in the End Times. You are the city’s last hope for survival in its darkest hour. You can choose to play as the Dwarf Ranger, Bright Wizard, Witch Hunter, Waywatcher, or Empire Soldier. Choose carefully—each has a different skill set, personality, and reaction to game events. To reach the next level, you must cross a battlezone littered with Skaven. This is immensely popular for the co-op gaming option, but singleplayer is also possible. Since it is combat focused, it is an excellent game for those who want quick fun without deep and complicated plots. 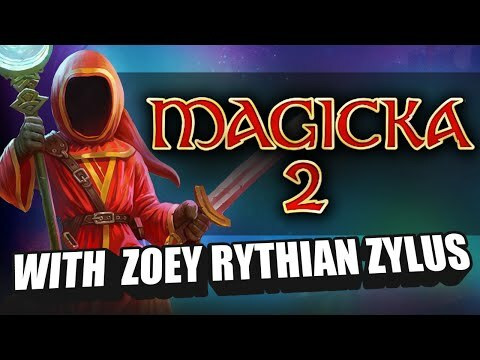 This is a cross between a deck-building and roguelike game. The cards decide your fate. They determine the dungeon floors you will travel through on your journey, who or what you will battle, and the weapons you will possess. Each level is different since you must choose a different floor card and weapon card each time. Chance events may occur at any time, resulting in a chance to buy cards, defeat enemies, or meet different characters. You can choose between Endless Mode or Story Mode. There are thirteen styles of adventures and thirteen categories of monsters you must conquer in Story Mode. An adventurer can choose to take on more encounters for Tokens to buy more cards. 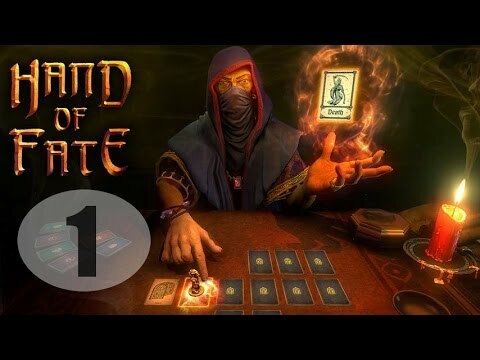 This game is better for those who like a bit of surprise and chance thrown in since the cards, and thus the gameplay, are unpredictable. There is strategy involved, no doubt, but the unpredictability may displease some. Because it is a co-op game, up to four people can play as wizards trying to destroy their enemies. In this comedic action adventure, most wizards have died after the Wizarding War, creating a chaotic time. 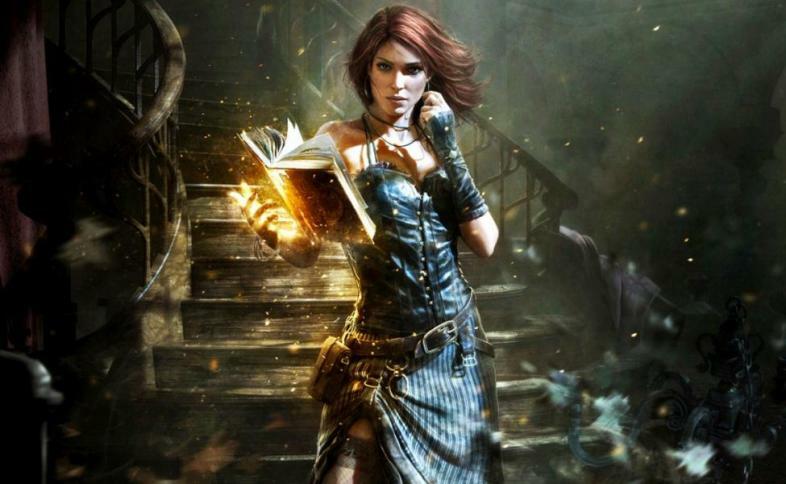 Gameplay involves combining different elements to create spells. These combinations can be deadly or beneficial. Since up to five elements can be mashed together out of the eight total elements, innumerable spells are possible, creating room for an enormous amount of discovery. For example, putting fire and water together creates steam. Much of Magicka 2 is inspired by Scandinavian mythology. Players must face challenges in locations such as the Snowy Highlands, the Crystal Caverns, and Alcatraz. Infants of the nation Drywood are being born soulless, and you must discover how to end this problem. As a recently-awakened Watcher who was cursed with remembrance of past lives, you must also find a way to reverse your enchantment before you go mad from day-time visions and an inability to sleep. Your destiny is molded by the actions you take throughout the course of your adventure. You have the ability to choose one of six races: Orlan, Human, Dwarf, Godlike, Aumaua, or Elf. Throughout your journey, you can plough through ancient ruins, wander under caves, and rest in towns. Pillars of Eternity is a critically acclaimed RPG similar to games such as Icewind Dale and Baldur's Gate. With the Infinity Engine, gameplay can be paused during combat, allowing you to strategize your next move. 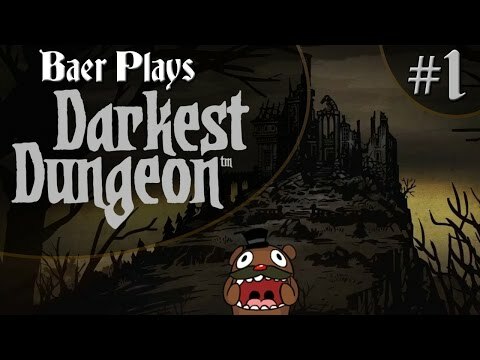 Unlike many RPGs that take a fun, lighthearted note, Darkest Dungeon explores the deep psychology of what a quest might do to the mind. Your ancestor unearthed unspeakable evils in the family estate, and you must subdue them. This game focuses on the harsher realities of what an adventure entails and how it affects the character group’s minds, health, and emotions. It treats the characters as if they were real people, and the results are often incredibly human. Each character in the group reacts to situations differently. The dark tones of the story lead to thoughtful consideration of what a person might undergo if they were exposed to some of the circumstances that our favorite protagonists faced. It also reminds that even though many want to experience fantasy realms, the results may not be so cheerful. In this way, it is a cautionary tale about wishing for imaginary places. Turn-based combat allows for multiplayer, and opens for interaction between different protagonist personalities. 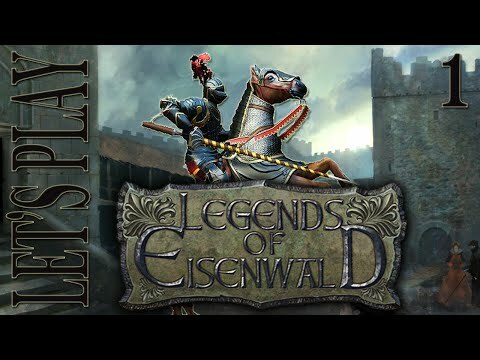 The story of Legends of Eisenwald is set in a fictional part of Medieval Germany. As a fast-paced, turn-based game, this RPG involves careful tactics. Since it is a decision-based game, every action affects the outcome. An interesting twist is that the story is non-linear. Players can choose to be a knight, mystic, or baroness. There is some magic and a few legendary creatures. However, it has a more historic than fantasy feel to it. There are no dragons, but instead, a strong back-in-time feel. With these games you can escape the mundane and travel to a land with many adventures. Let yourself take a break and enter a different world. Fantasy games are perfect for imaginative players with a mind for exploration, discovery, and battle.